The Kaname residence, located 1 km outside of Mitakihara University, has just installed a new swimming pool and jacuzzi. Homura Akemi had decided to go for a swim to refresh her mind and after a few hours of floating and freestyling, she left the pool to dry up. Tatsuya had decided to go out to dinner with Harley and Austin to go over plans for Fresno State. As Homura headed into her bedroom which she shared with her wife, Dr. Madoka Kaname, she noticed that Madoka was doing some reading next to a ten-foot pole. "Madoka," Homura asked, suspicious. 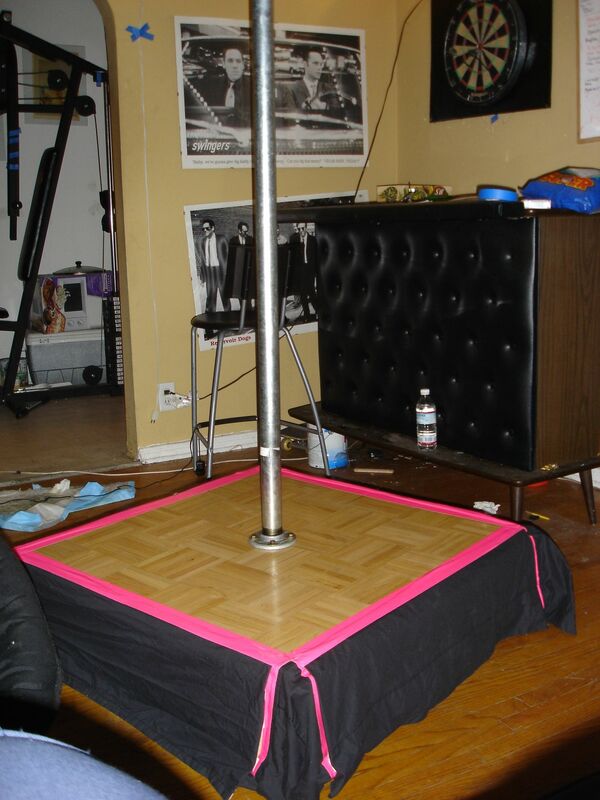 "Why is there a 10-foot pole in our bedroom?" "Homura-chan, I've decided to come up with a different way to get into shape," she said, sitting on top of a pedestal. Next to their bed was an old record player. "Is that what I think it is?" She felt the spot between her legs get soaked already. She already knew. "Can you go ahead and press play on the record player?" asked Madoka. "Um...okay," Homura said. She pressed the Play button, and a song played. At that point, Madoka gyrated on the pole, swinging herself about, moving with such fluidity and passion. Homura, getting herselt in the mood, snacked on some Pocky and stimulated that spot as her bathing suit became stained with her love. Her breathing was hitched. This was the first time Madoka was pole-dancing, and it looked like she had done this many times before. She loved seeing this. 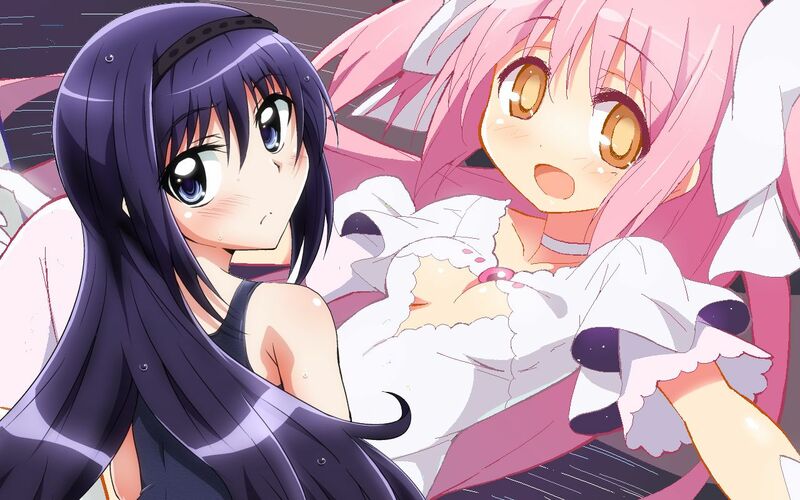 Not only was Madoka getting a workout, Homura was getting really, really horny. Finally, with a sigh, she came. As the music ended, Madoka slowly walked to her. "Homura-chan, what do you think?" she said to Homura, sitting next to her on the bed. She showed her a few sticky fingers. "This is what I think," she whispered. Homura slipped her hand inside the cleavage cutout of Madoka's dress, embraced her with a kiss, and the two of them made love once again. "Uh, Mom?" asked Akiyuki Kaname, walking inside the house after another long day of classes at Mitakihara High School. "Mom? Aunt Homura? Are you there?" He heard some kissing, moaning and squishy sounds upstairs in the bedroom. "Oh." Rolling his eyes, he elected to watch some TSN SportsCentre instead, highlighting the BC Lions 14-game losing streak in the CFL.